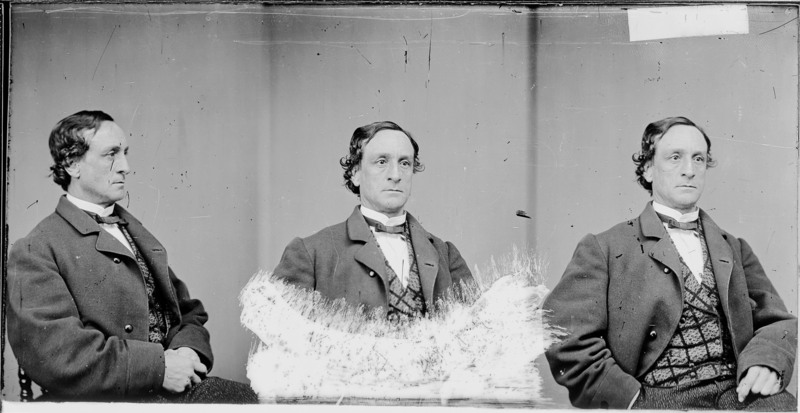 Junius Brutus Booth, Jr. was the eldest child born to Junius Brutus Booth and Mary Ann Holmes. June, as he was called by the family, attempted to follow in his father’s theatrical footsteps, but seemingly lacked the “spark of genius” that made his father a star. 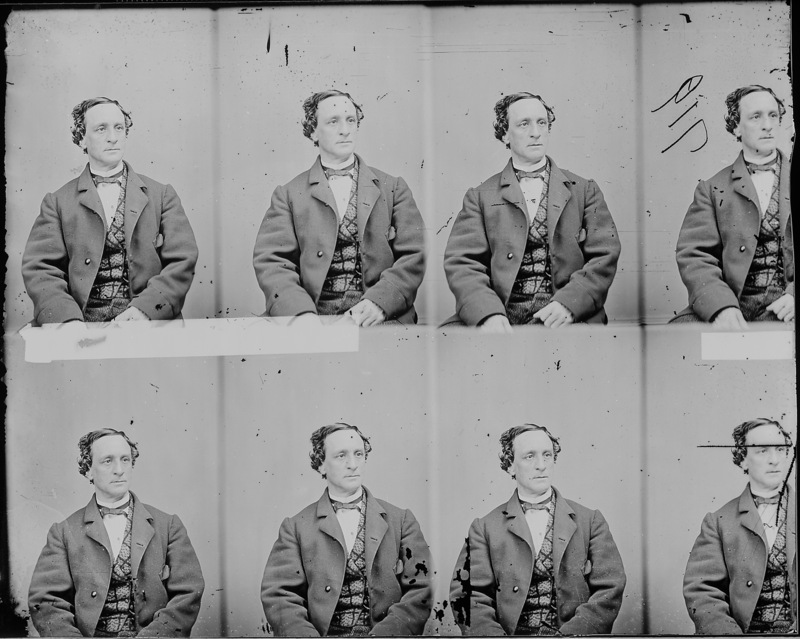 June was a full 11 years older than his brother Edwin and 16 years older than John Wilkes. He was soon eclipsed professionally by his younger brothers’ talent, and later, infamy. Nevertheless, June made a career out of the theater both onstage as an actor and offstage as a theatrical manager. 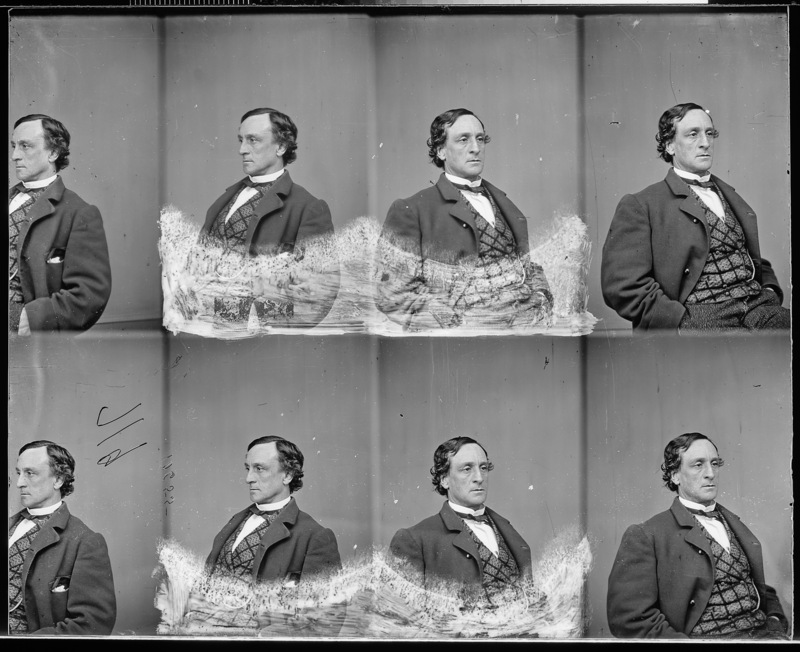 The following pictures of June were taken by Mathew Brady’s Studio at around the time of the Civil War. Click them to enlarge the images. Nice job. We rarely see photos of June and Joseph, compared to their better known brothers. In my opinion, he, more than the others, looks more like their father, though the element of zaniness is absent.